Monitors fluorescent and incandescent light status. Parasitic operation, no power supplies required. Small size allows direct application to light source. Supports Alarm Search for fast operation. Light presence/absence is latched until read. Up to 1000 Feet, 100 devices in a 1-Wire network. The D2Photo, light presence/absence monitor, provides the ability to monitor the state of fluorescent or incandescent lighting in a 1-Wire network. The D2Photo is so low power that 100 of them can reside on the same 1-Wire network up to 1000 feet long. The D2Photo will steal power from the network so that the user does not need to provide power. The unique address provides absolute identification of which light source is being monitored. The D2Photo supports conditional (Alarm) search mode that allows very fast and efficient system wide status update. 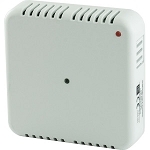 The D2Photo has a built-in multidrop controller (DS2406) which provides a unique 64 bit registration number (8-bit family code + 48 bit serial number + 8 bit CRC) assuring error-free selection and absolute identity; no two parts are alike. Unique addressing allows I/O function to be identified absolutely. 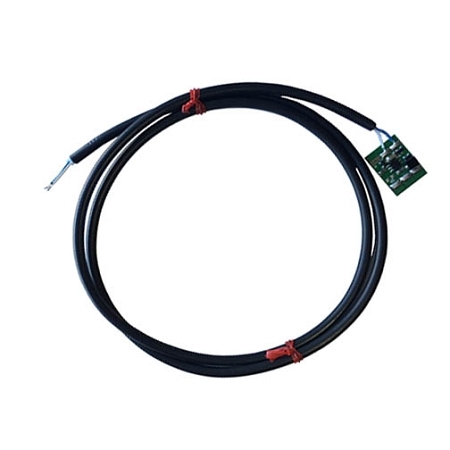 The D2Photo is designed to operate in a network of EDS 1-Wire digital and analog modules. Only two connections are required: common("C") and data signal("S"). The D2Photo does not need to be powered, all necessary operating power is stolen from the 1-Wire bus. The D2Photo requires a 1-Wire host interface or adapter such as the EDS HA3, HA4, HA5, HA7E, HA7Net, HA7S, OW-Server-Enet or Dallas Semiconductor DS9490R, DS9097U, DS9097E.